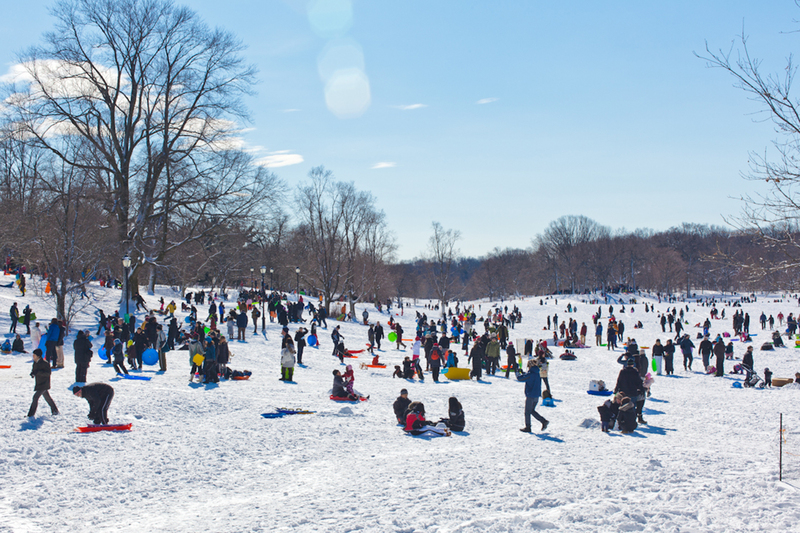 When temperatures drop in Gotham, New Yorkers cling to what we have, whether that’s spending time indoor at one of our top art museums, eating the best fondue in NYC or warming up from the inside out with winter cocktails, like the best hot toddies in NYC. 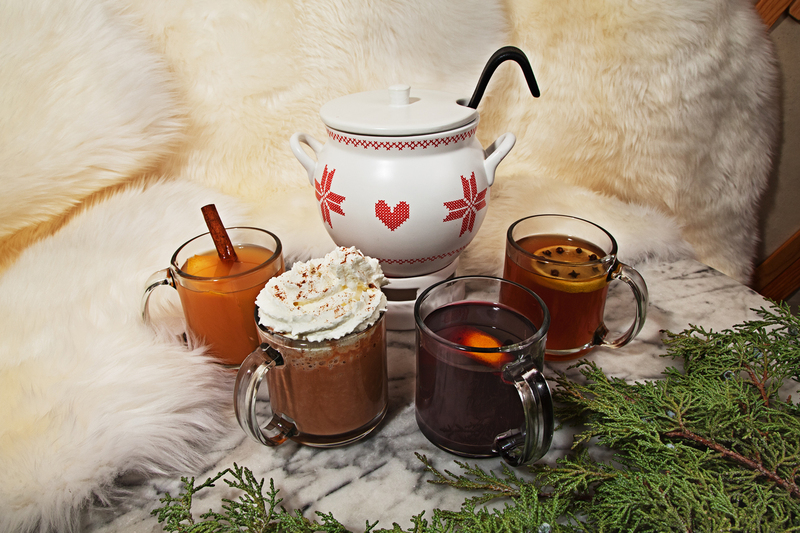 The quintessential warm drink is a cold-curing (actually!) elixir with dark liqueur and add-ins like honey and cinnamon, ingredients that are thermal enough to permeate the puffy coat (yes, even that Canada Goose) you’ve been hibernating in. 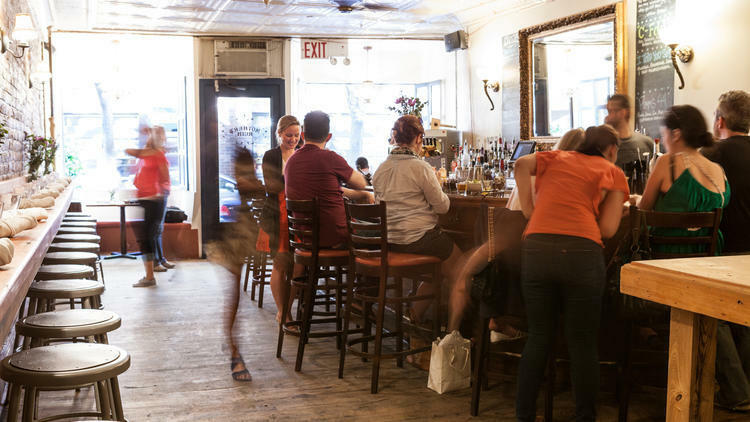 The popular Lower East Side spot gets raves from downtown imbibers, especially for its Mother’s Toddy with whiskey and a cinnamon stick. 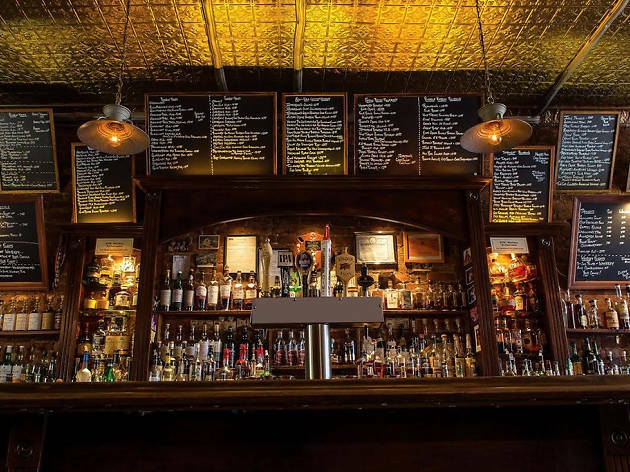 The bar can get crowded weekend nights, so make sure you slip in on the earlier side to stake your claim. 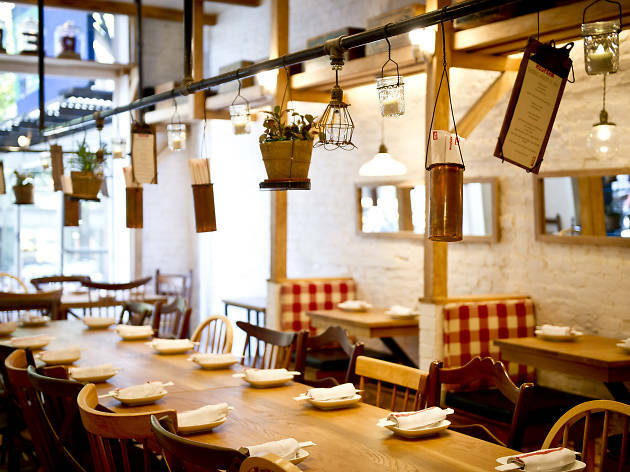 The innovative Chinese restaurant (with locations in the West Village and the Upper West Side) is set up like a stylized barn with wooden beams, hanging plants and red-and-white-checkered booths. 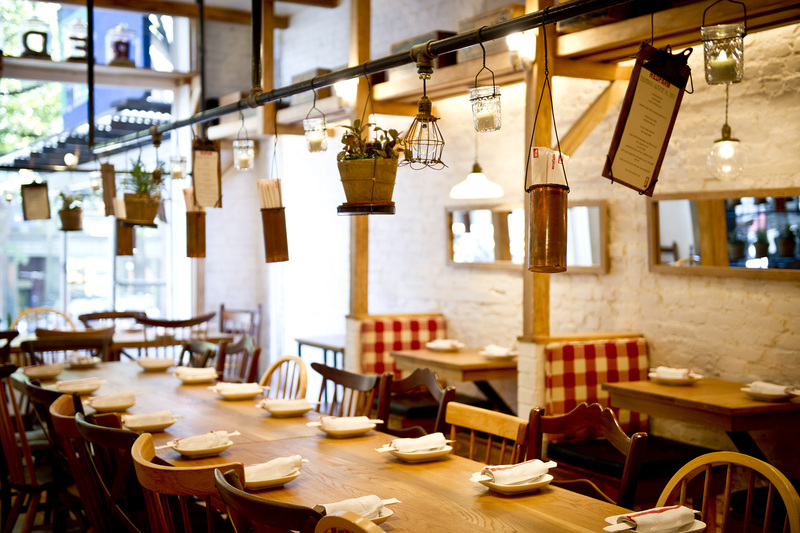 Want to get more cozy? 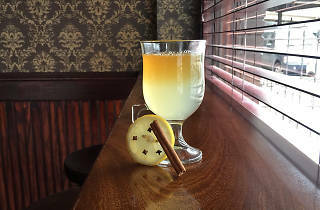 Try its twist on the hot toddy, Chit-Cha Toddy ($15). 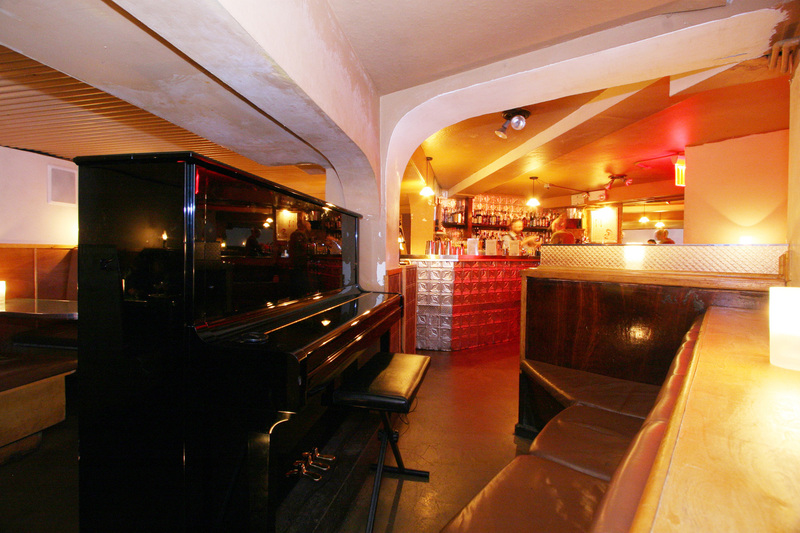 The Asian-influenced drink is made with Suntory Toki whiskey, Benedictine, Chinese tea, ginger, lemon and honey. 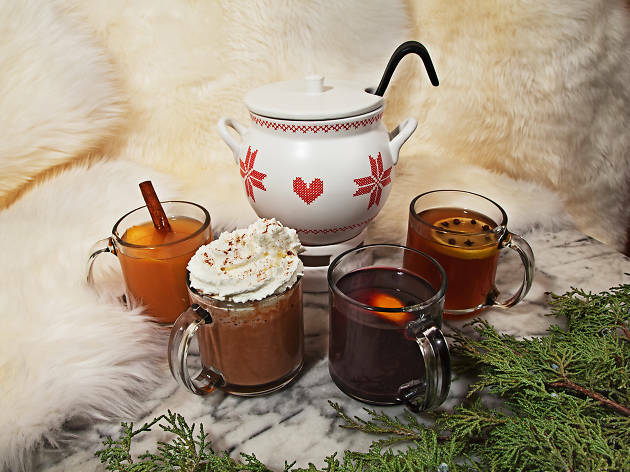 The Winter Village at The Standard in the East Village might be temporary, but the warming effects of its Winter Toddy could last a lifetime. Or at least until, like, 4am. Try the cocktail with apple brandy, amaro, allspice dram, honey, vanilla and lemon ($14 per glass or $48 to share). 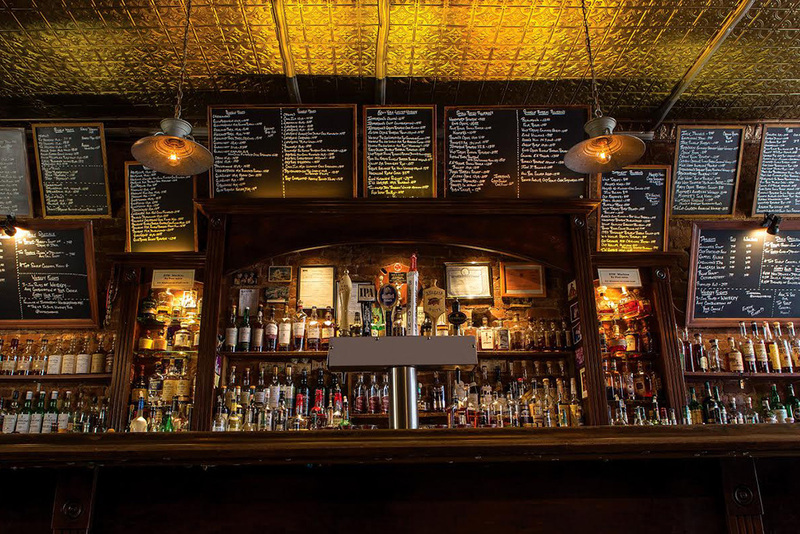 This handsome Greenpoint speakeasy serves a hot toddy straight up to its stylish patrons, with lemon, honey, cinnamon and Wild Turkey 101 bourbon. Sometimes, you don’t need to mess with a great thing. 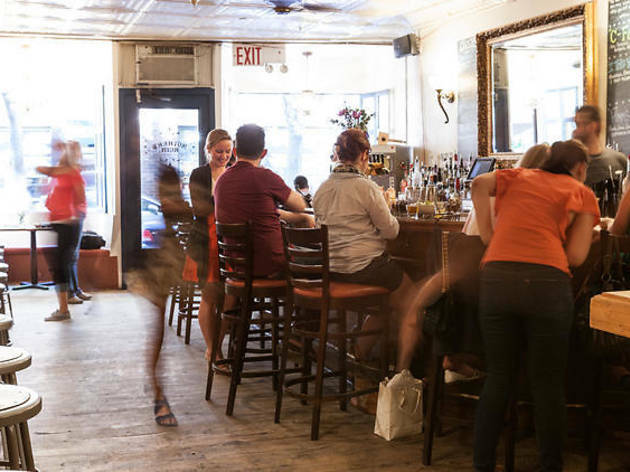 It’s all about the whiskey at this Lower East Side standby that’s a nice respite from the dance-heavy bars in the neighborhood. 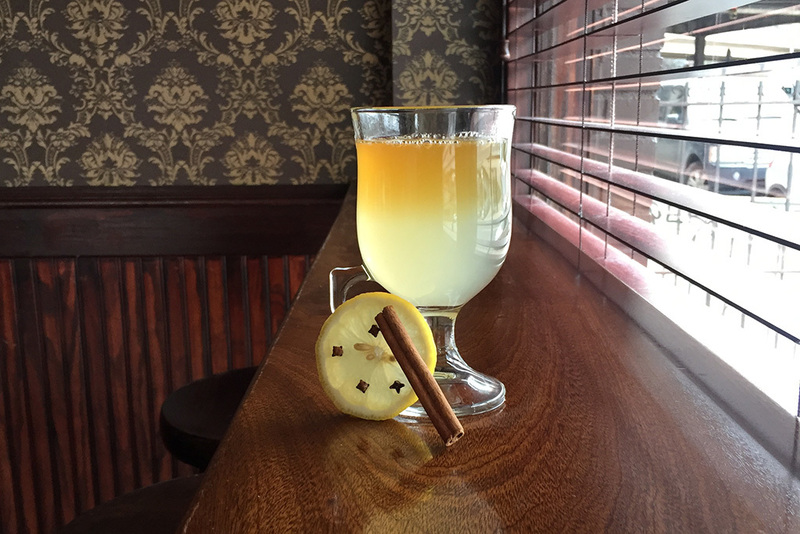 The bar’s Ward Hot Toddy ($10) is mixed with Evan Williams Bourbon, hot tea, allspice, lemon and a cinnamon stick. Honey is served on the side to pour at your discretion. 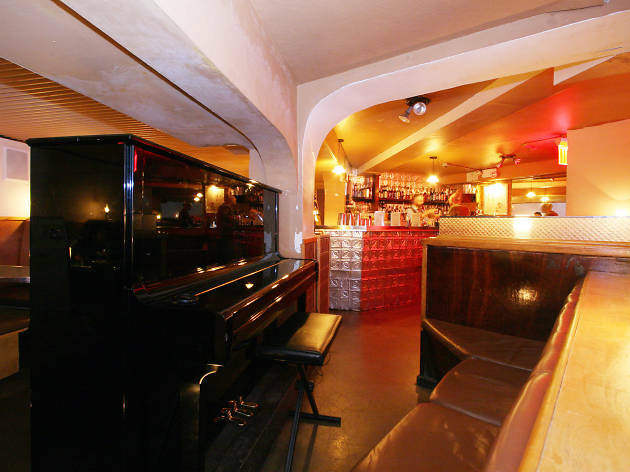 The lauded cocktail bar in West Village acts not only as an intimate date spot, but also a place to drink your winter blues away. 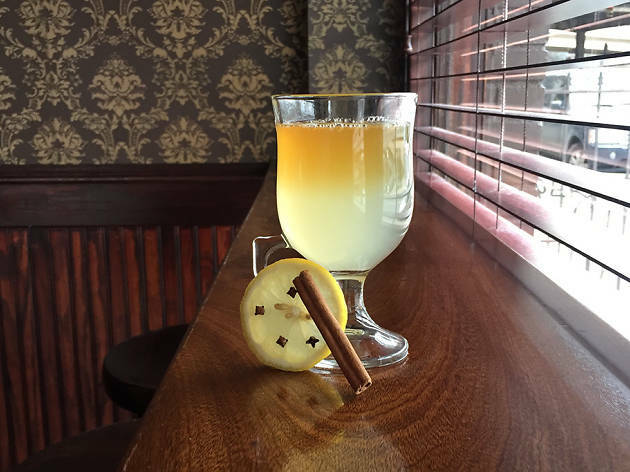 The hot toddy price tag might be a bit steep ($16), but one sip proves it's worth every penny. 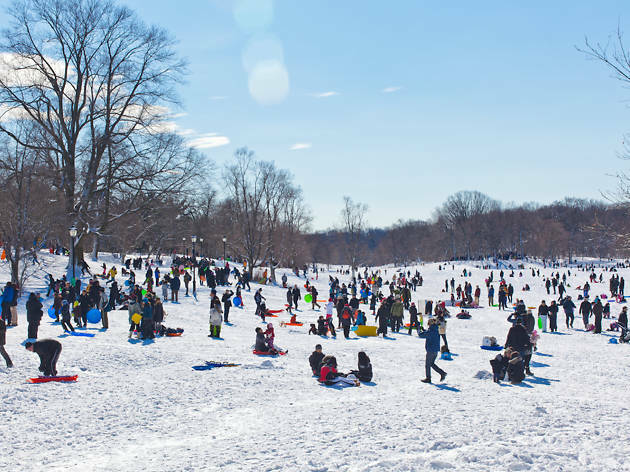 Sledding and warm cocktails are a perfect match!